Forever Unique Gaia black ruffle drop waist hi low dress. 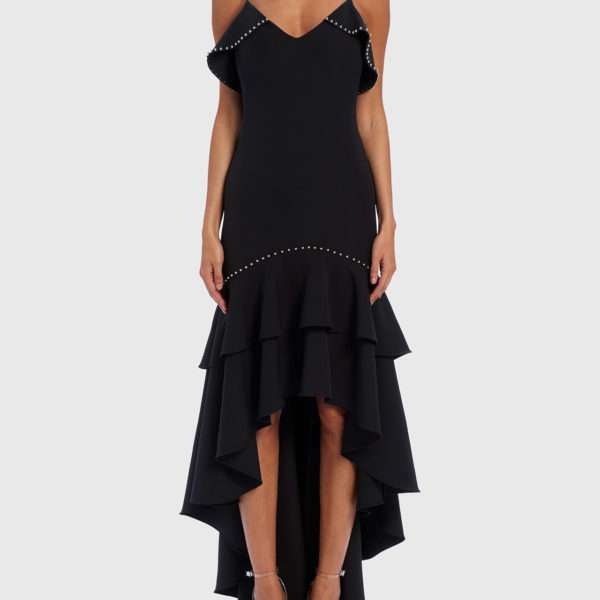 Make an entrance in this black beauty and walk like a run way model as this dress sashays behind you. 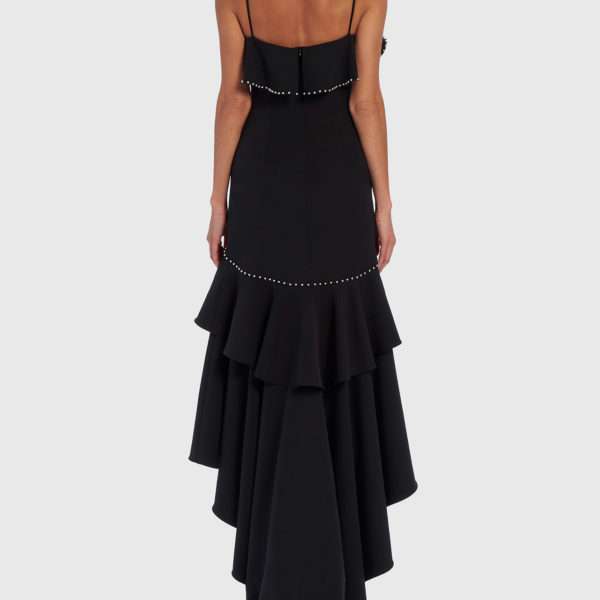 This dress is dark Spanish gypsy meets modern contemporary gal and we just love it. Features hi low ruffle layered hemline with studded detail around the dropped waist. Fine straps lead to a v neckline with ruffle detail from under arms leading to the back. The stud detailing is present on the upper ruffle too. Worn with a concealed zip back fasten.